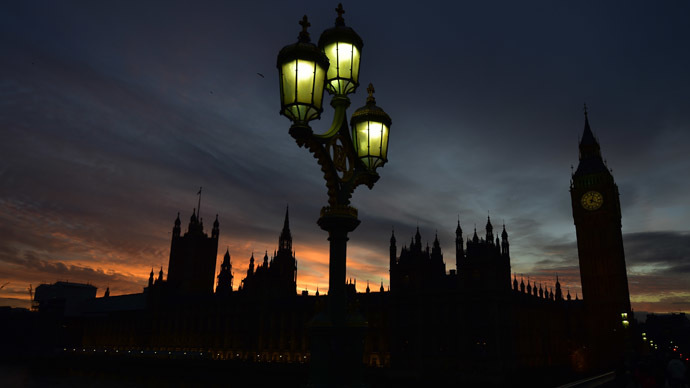 Emergency services and police have been deployed to the Palace of Westminster after an unidentified man scaled the roof of the House of Commons, London police have confirmed. “At 9.15pm officers were made aware of a man trespassing on the roof at the Palace of Westminster. London Fire Brigade and London Ambulance Service are in attendance,” a Scotland Yard spokeswoman said according to ITV. Alongside police and fire brigades, a police boat has also been deployed via the Thames river. It was unknown why the man climbed the roof or what his demands are. Some reports suggested he could be a climate activist, as the roof was the scene of a Greenpeace stunt in 2009. The man was detained several hours later and arrested on suspicion of criminal damage and trespassing. His identity was not disclosed. It is known only that he is 23 years old. “At this stage it is too early to ascertain the reason as to why the man was trespassing on the roof,” Scotland Yard said in a statement. Earlier on Saturday, scuffles between climate change activists and police broke out in central London, with police trying to subdue a man in a rabbit costume. More clashes were reported when up to 100 protesters blocked the busy road outside Charing Cross station after sitting down on the street with their bicycles. However, it was unclear whether the man on the roof had anything to do with these protests, as he had not been wielding any banners or shouting slogans when he was spotted.